For 48 hours only Gap, Old Navy and Banana Republic are offering 30% off your purchase with the coupon code JULY2012 – including sale items! 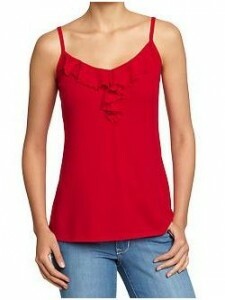 The cute top above from Old Navy is only $4.20 after the discount is applied at checkout! Check out the sale and clearance sections for more deals. Shipping is free on purchases over $35 – normally $50. This coupon code is good through tomorrow, 7/26.